With so many laws and rules of the world system, the simplicity of Christ can easily be overlooked. It is written we are to be converted and become as little children and this does not mean to be childish and irresponsible, but to be humble and trusting the truth found in Christ for this is the greatest in the kingdom of God. (Matthew 18:1-6). At the same time came the disciples unto Jesus, saying, Who is the greatest in the kingdom of heaven? 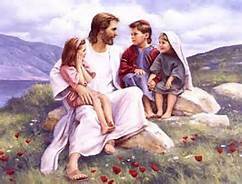 And Jesus called a little child unto him, and set him in the midst of them, And said, Verily I say unto you, Except ye be converted, and become as little children, ye shall not enter into the kingdom of heaven. Whosoever therefore shall humble himself as this little child, the same is greatest in the kingdom of heaven. And whoso shall receive one such little child in my name receiveth me. But whoso shall offend one of these little ones which believe in me, it were better for him that a millstone were hanged about his neck, and that he were drowned in the depth of the sea. Jesus the good shepherd of His sheep knew the peril’s that would come against His little ones and gave the good advice for our protection since sheep are of a very docile sort that He was sending them forth as sheep in the midst of wolves, but they are to be wise as serpents and harmless as doves. (Matthew 10:16-20). Behold, I send you forth as sheep in the midst of wolves: be ye therefore wise as serpents, and harmless as doves. But beware of men: for they will deliver you up to the councils, and they will scourge you in their synagogues;And ye shall be brought before governors and kings for my sake, for a testimony against them and the Gentiles. But when they deliver you up, take no thought how or what ye shall speak: for it shall be given you in that same hour what ye shall speak. For it is not ye that speak, but the Spirit of your Father which speaketh in you. Christ’s way is more simple than the teaching the world delivers on how we need to do this or that in serving Him. The flesh oftentimes gets in the way with Gods name stamped on it when it turns out to be a doctrine of men and satisfying the flesh more than the honoring of God. If we be dead with Christ we then no longer serve the rules the world makes to appear right, but we understand it is not the huge gathering of people that make up the church but on the lower scale when Christ says: “Where two or three are gathered together in my name, there am I in the midst of them. (Colossians 2:20-23) Wherefore if ye be dead with Christ from the rudiments of the world, why, as though living in the world, are ye subject to ordinances, (Touch not; taste not; handle not; Which all are to perish with the using;) after the commandments and doctrines of men? Which things have indeed a shew of wisdom in will worship, and humility, and neglecting of the body: not in any honour to the satisfying of the flesh……… (Matthew 18:18-20).